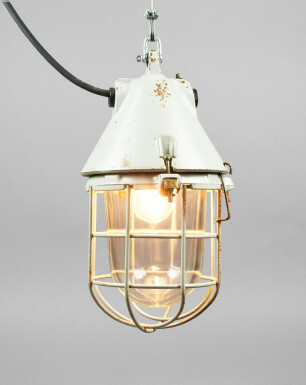 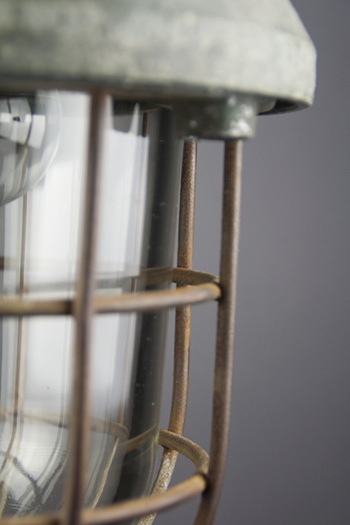 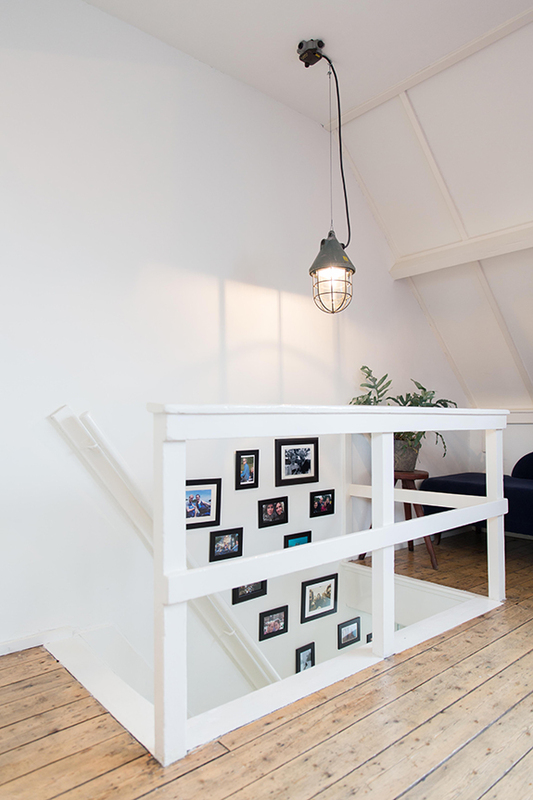 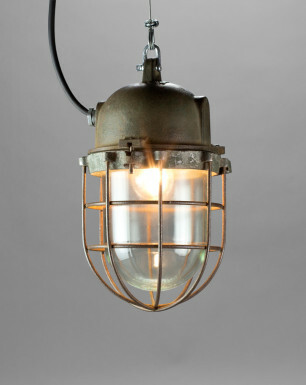 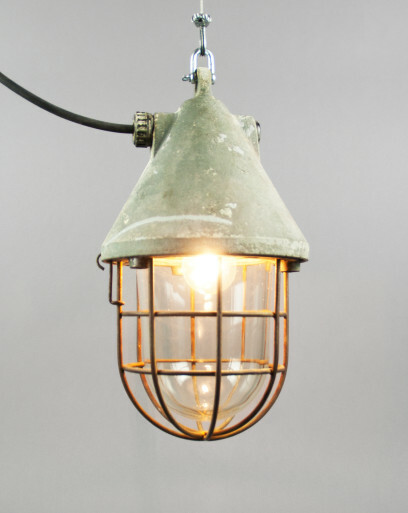 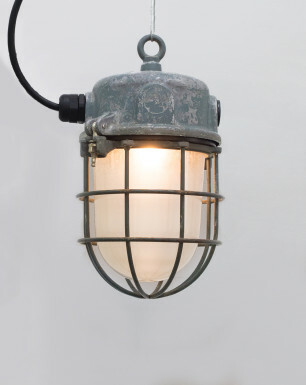 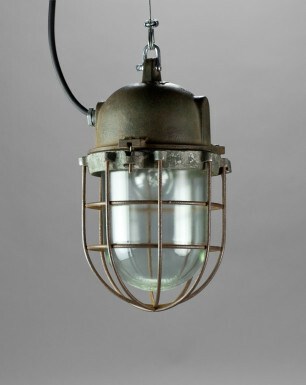 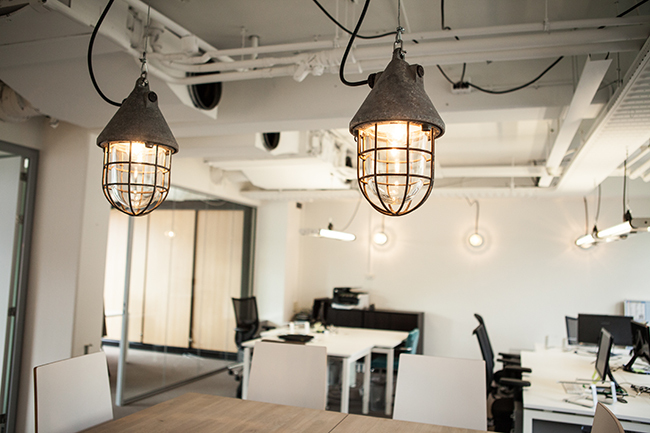 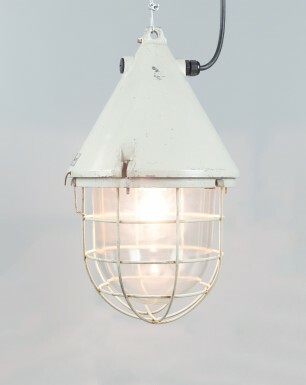 This well glass pendant lamp dates back to the early days of the ‘DDR’ era. 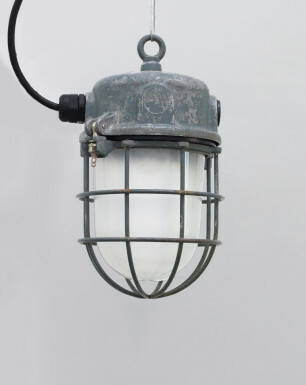 It consists of a cast-aluminium casing fitted with a heat-resistant safety glass and protective cage. 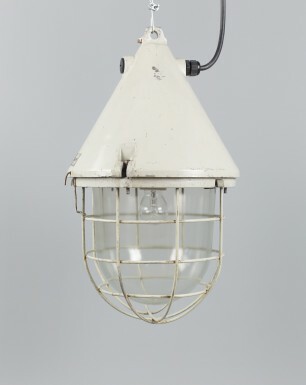 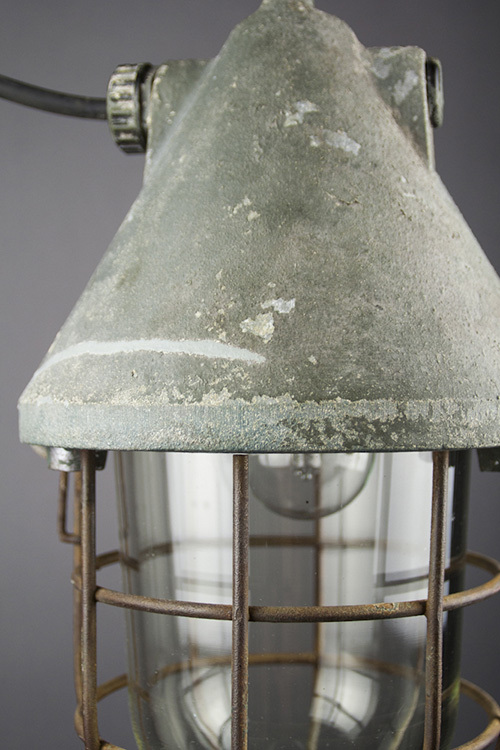 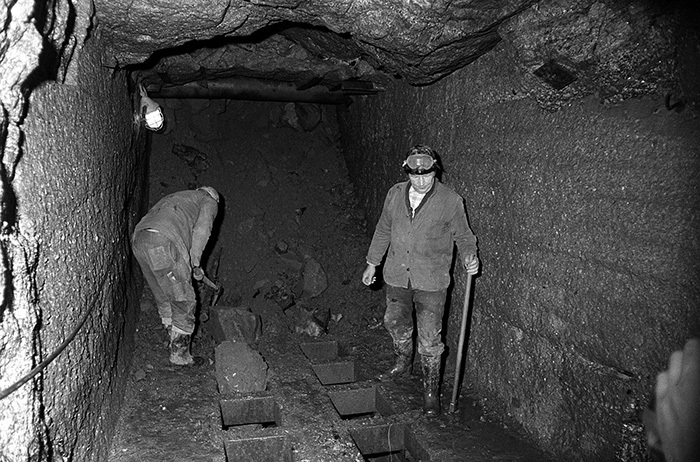 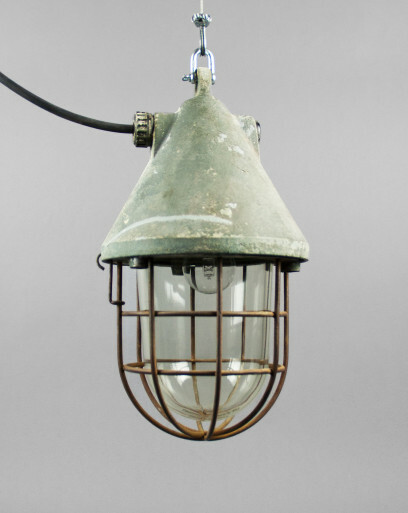 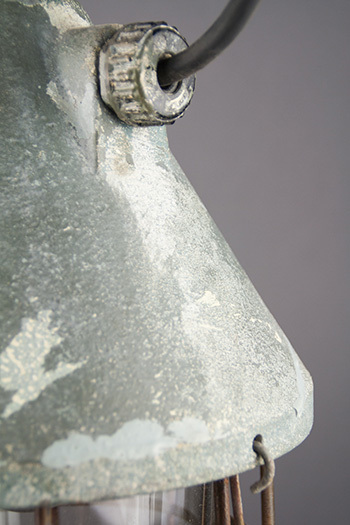 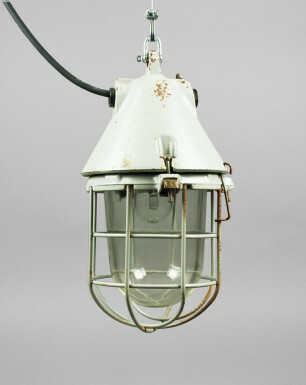 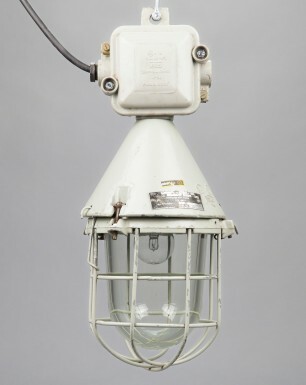 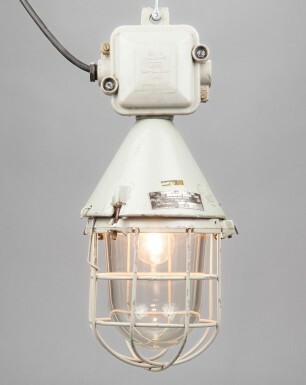 The splash-proof lamps were manufactured as of the twenties by the East German company Elektroinstallation Oberweimar. 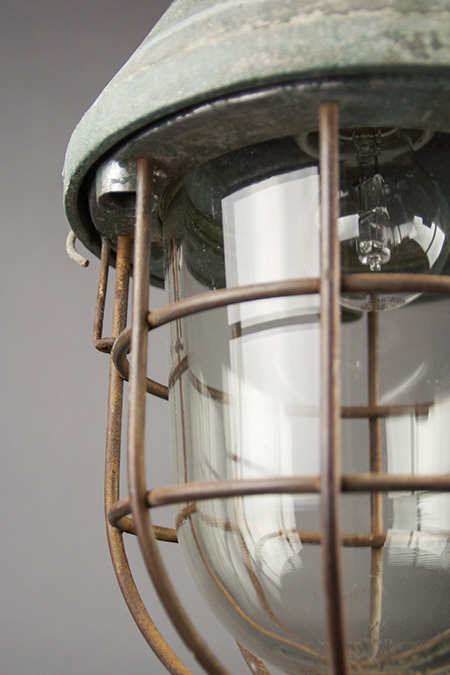 They were designed to be used in buildings processing hazardous materials, such as chemical plants, power stations, military bunkers or ammunition storages. 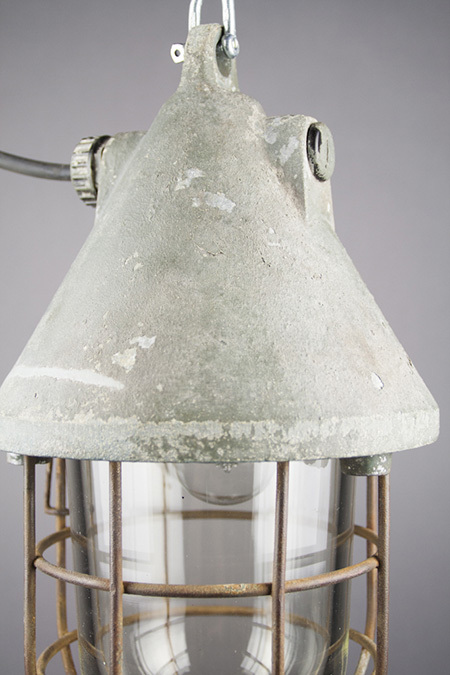 The lamp comes from an old spirit factory in Berlin that was a government-owned company until the end of the communist era. 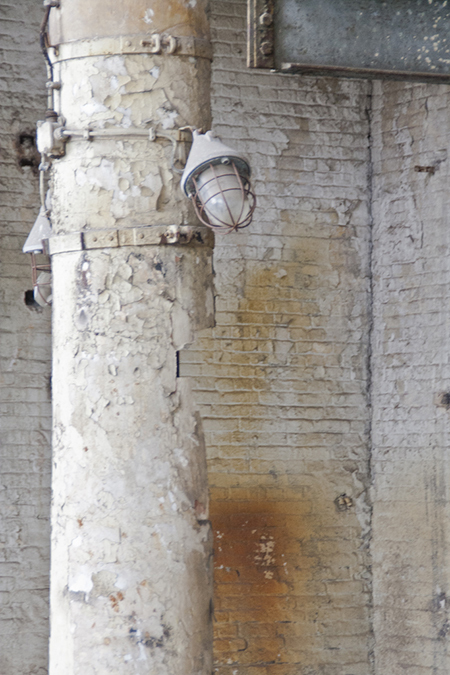 In the main production area of the factory, the Dragons were mounted to the columns.